The Popular Culture Studies Journal will publish a special issue exploring Stan Lee and the Marvel Universe. Editor Bob Batchelor and Associate Editors Norma Jones and Kathleen M. Turner seek submissions that engage with the topic, particularly as it relates to the creation of the Marvel Universe in the work of Lee and other creative leaders in its early years. The editors would like authors to expand our current understanding of Lee and Marvel, focusing not only on history, but production, economics, marketing, and other areas that have gone relatively unstudied. Submissions should be up to 25 pages (excluding Works Cited) and follow MLA Style. Send inquiries and/or submissions to Bob Batchelor at:pcsj@mpcaaca.org. The deadline is 1 May 2016 for publication in the annual PCSJ issue in October 2016. 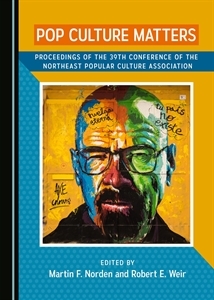 Please visit our website at http://mpcaaca.org/the-popular-culture-studies-journal/ for more information and to read past issues of PCSJ.